Cape Town - The hearing regarding former Paralympian Oscar Pistorius's parole has been postponed for two weeks, the correctional services department confirmed on Saturday. "I can confirm that the parole review board met and considered submissions. Unfortunately they could not complete the roll and had to postpone for two weeks," said department spokesperson Manelisi Wolela. A number of parole reviews had been before the board on Friday. Wolela said the board had chosen a postponement date that was the earliest all its members could make. 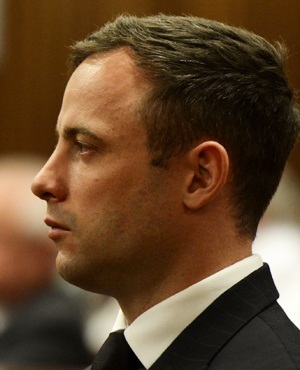 Pistorius was jailed last year after he was found guilty of gunning down his girlfriend Reeva Steenkamp at his Pretoria home on Valentine's Day in 2013. He has spent just more than 10 months in jail. He was initially expected to be released on August 21 to serve the rest of his sentence under house arrest. But, two days before that, Justice Minister Michael Masutha announced Pistorius would not be released, saying the parole board had acted prematurely when it decided in June that he could be released in August. Earlier on Saturday morning, family spokesperson Anneliese Burger told News24 they had not been informed of anything yet.